Was anyone else expecting a post-apocalyptic survival novel with this one, or was that just me? I admit, my problem is that I don’t read blurbs before reading books, because I like to go into them surprised and knowing absolutely nothing. So it’s my fault that I went into After the End with unrealistic expectations. But I’m disappointed anyway, because whereas I was looking forward to a survival novel in the Alaskan wilderness but instead it was more of a science fiction thriller, and it was really bloody confusing to begin with. You clever folk will know that the war that supposedly caused the apocalypse didn’t actually happen, and apparently the main character has been hiding in Alaska for no reason because there’s no radiation? This was a nice surprise for me while reading, but it’s not what I wanted from this book. Oop at me. In the beginning, Plum’s writing style took a while to get used to. It felt like she was being overly descriptive for no apparent reason, and using too many unnecessary words. Sometimes present tense just doesn’t work for an author, and that was the case here. After a few chapters, I did start to get used to it and I was able to lose myself in the story rather than worry about the author’s writing style, but if I hadn’t been curious about the so-called WWIII, I wouldn’t have continued reading based on the writing. I really liked Juneau, although she didn’t feel like the most developed character. I did feel sorry for her, because everything she had been told was a lie. Juneau is an interesting and mysterious character, who I’m sure we will learn more about in the sequel, but she’s not very stand-out to me. The romance in After the End wasn’t instalove, which I appreciated, but it wasn’t exactly slowburn either. I don’t think the two characters, Juneau and Miles, had any chemistry and so their hate-to-love relationship didn’t evoke many feelings from me. Which is a shame, because I love my ships. I just thought their entire progression as enemies and then friends and then as something closer was standard and average and lacking anything to make me squee. 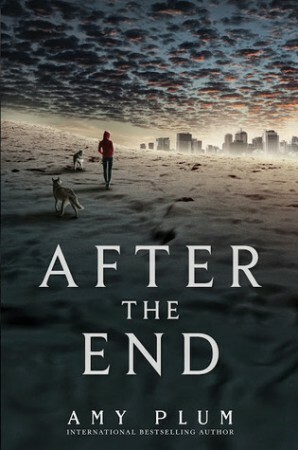 After the End had a bit of a mystery plot, which is really what kept me interested and reading. What is Yara? Who the hell is Whit? How can anything cause a perfect star shape to develop in your eye? I’m probably interested enough to read the sequel, or at least look up spoilers, but I wouldn’t rush to buy it because After the End was practically average in every way and I have no strong feelings about it. I wasn’t expecting a post-apocalyptic book with this one, but the synopsis sounded like this book would either surprise me or disappoint my expectations. I’m glad that I passed over this one. It sounds like the characters and plot aren’t too well developed. Lovely review, Amber! 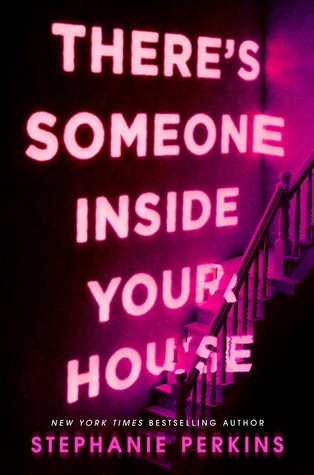 I read this book lastweek but DNF it. Everything that happened to J. was too convinient for my taste. Wow, you are way too kind on this book haha. I disliked it a lot because of too much use of God’s hand. Way, way ridiculous at times!